1975, Chicago: Coleen Brennan and Bobby Vargas fall in love at age six. At thirteen their secret kills Coleen, breaks Bobby’s heart forever, and makes Coleen’s twin sister Arleen a runaway who’s never found. Until today. Arleen Brennan reappears in Chicago to vie for the last-chance breakthrough role that has eluded her for two decades as an actress. Bobby never left; he’s a gang cop caught in a street war that could derail the city’s upcoming bid to host the Olympics. 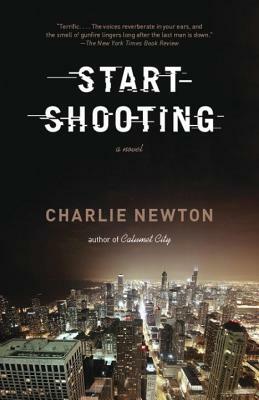 CHARLIE NEWTON’S first novel, Calumet City, was a finalist for the Edgar, International Thriller Writers, and Macavity awards, among others. This is his second novel.